I have to admit it — Newport Beach, California wasn’t on my radar before this week. Sure, we’ve all heard of Laguna and Malibu, other SoCal hotspots. But now that I’m here, I’m not sure how I missed it — after all, it was the setting for The OC, Beaches, and Gilligan’s Island; it’s home to Jay Leno and Kobe Bryant; and it’s a not-too-warm, not-too-chilly beachside family destination you’ll want to visit again and again. 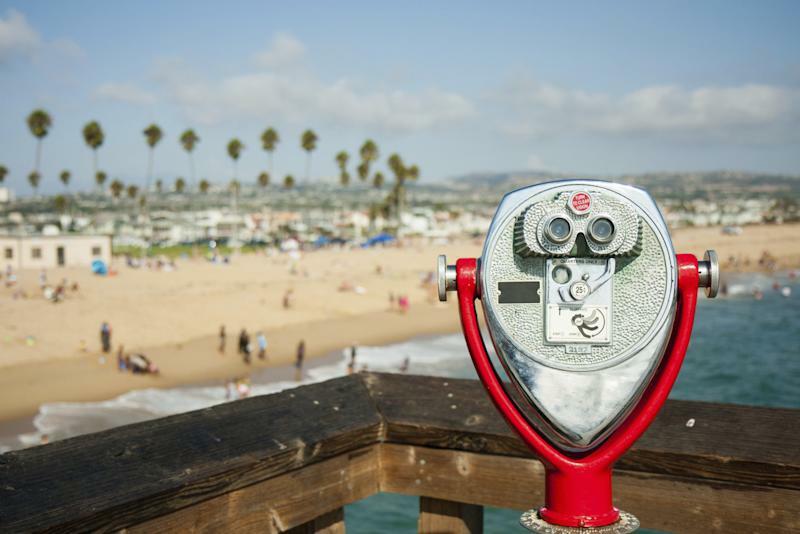 What makes Newport Beach such a great spot for a beach trip? Here’s my top 10 list. This whole stretch of Orange County, California, is known for its beach towns, but each one has a different personality. Newport Beach is all about kicking back, enjoying the pretty beaches, and swimming through the waves — sometimes with dolphins and even whales. My favorite sunning spots? Crystal Cove, where the beachside bar is the perfect place for an end-of-day beverage; or the quiet Corona del Mar State Beach next to the Tacklebox, a Top Chef contestant-owned eatery. To get the full effect, book a tour with Newport at Your Feet; Carolyn Clark has all the insider scoop on the area and will keep you laughing for hours. You don’t have to fly into LAX or deal with Los Angeles freeway traffic to get to Newport Beach; the local Orange County airport, John Wayne, offers direct flights from many major cities, cheap parking, and 15-minute access to the beach. Driving around, you’re unlikely to hit a single traffic jam, but do rent a car: the town’s spread out over several miles. Sure, there’s a lot of high-end development in Newport Beach — we are talking about oceanfront Southern California, after all. But the folks here value their history, too. 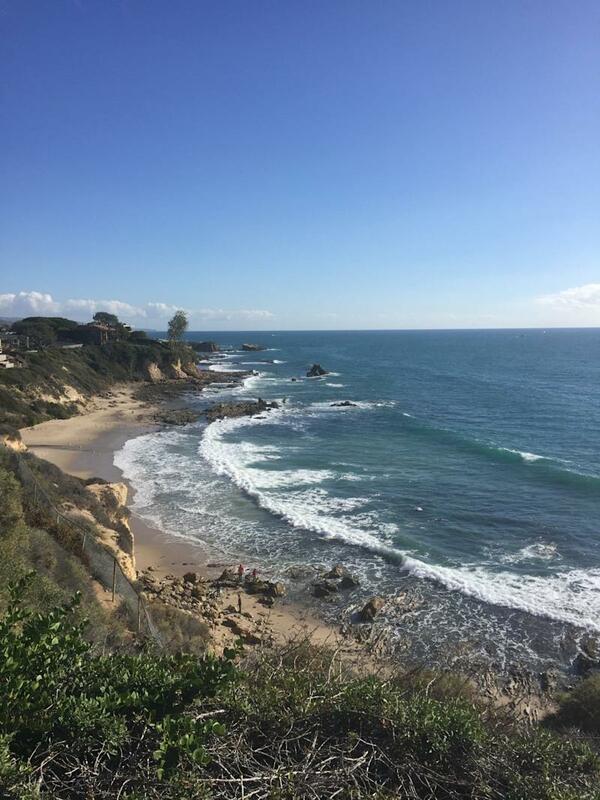 Take Crystal Cove, a cottage community dating back to the 1920s. When developers wanted to build high-end hotels on the prime beach location, locals banded together and raised money to save the cute, vintage cottages here. Now you can reserve a stay in one, right on the beach, complete with kitchen and bath and old-fashioned kitsch, but beware — they tend to book up almost a year ahead of time. And remember the banana stand in Arrested Development? Yep, that’s here, too, on the main drag in the quaint Balboa Island neighborhood. Even though the Wedge, one of the nation’s go-to spots for body surfing, is right off the coast of Newport Beach, in most places the water is glassy calm. Take the kids for a ride on an electric Duffy boat (available for rent by the hour), or, for the more adventurous, try a new adventure sport. Jet Pack America offers a wild ride above the waves; the staff was super encouraging and supportive, even when I crashed into the water and blew some major bubbles. You don’t have to spend a lot of money to get some comfy digs in Newport Beach — and you have a lot of options. There’s the Marriott, a well-priced option in the Fashion Island area. 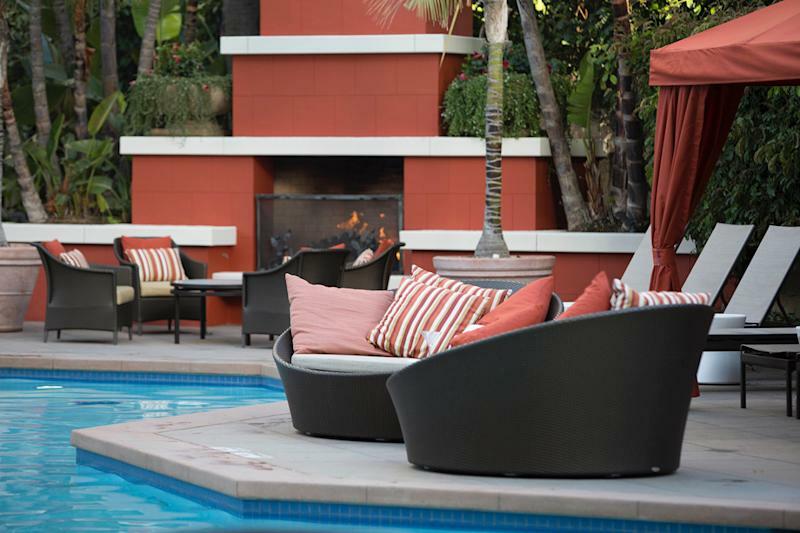 Or you can rent a one- or two-bedroom suite at the Newport Beach Hotel to get 10-step access to the beach. Want luxury? The Island Hotel is five-star heaven, with plush robes and linens but kid-friendly menus and an on-it concierge who will line up a babysitter in a pinch. I’m not usually a mall fan, mostly because I hate walking in circles in some stale, indoor monstrosity. But Fashion Island, Newport Beach’s top mall destination, has every store and restaurant you can think of, all in a large, landscaped outdoor space. Wandering around is half the fun! If even an outdoor mall doesn’t do it for you, head to Marine Avenue on Balboa Island to walk down the hometown boulevard of independent shops and boutiques. You craving it? Newport Beach has it. At Babette’s, the huevos rancheros are served up in a sunroom with a Hamptons feel; at Cucina Enoteca, the pappardelle with short ribs will blow your mind. Staying at a hotel? Sam & Harry’s at the Marriott offers great burgers in its outdoor seating around firepits, and the Oak Grill at the Island Hotel is known for its flatbreads. If you’re heading out for the day, consider take-out sandwiches from Sessions West Coast Deli; my favorite was the burrata with tomatoes and pickled onions. Just can’t leave the four-legged family members at home? Newport Beach is remarkably dog friendly; in the winter time, leashed dogs can roam most of the beaches with you, and several hotels (including the Island Hotel and the Newport Beach Marriott Bayview) allow pets. Even though I arrived on what locals called a chilly week (it was in the 60s), the sun sparkled off the water, and the wind rolled the surf. My favorite outdoor adventure? Pedego, a bike tour, like none I’d ever tried. Pedego bikes look like regular beach cruisers, and you can pedal them just like any other bike. But — here’s the brilliance — heading into a hill or feeling a little bit lazy? You can twist a handlebar, and battery power kicks in to coast you right along. The owner, Lori, took me out on a 90-minute tour of the area, so we got up close and personal with the best beaches and the prettiest zillion-dollar neighborhoods. For me, the highlight of my Newport Beach trip was the Christmas Boat Parade. 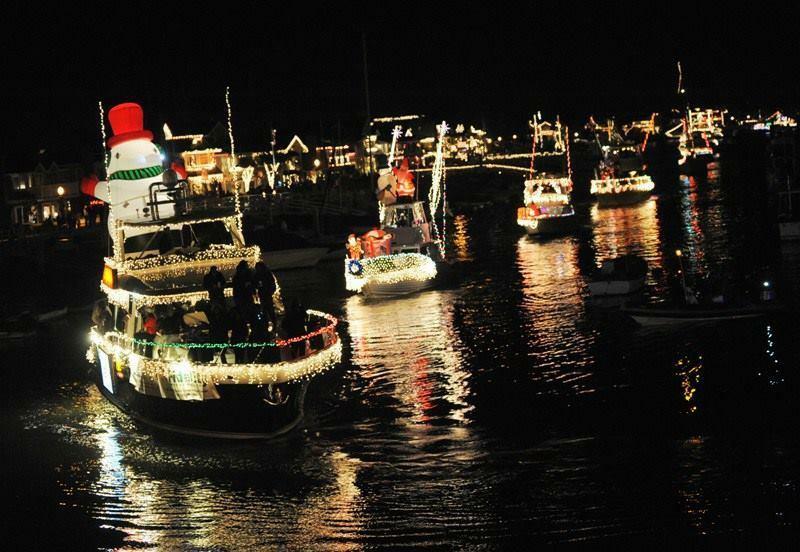 Dozens of boats light up and decorate for the holidays, then cruise through the harbor for an after-dark, family-friendly spectacle. 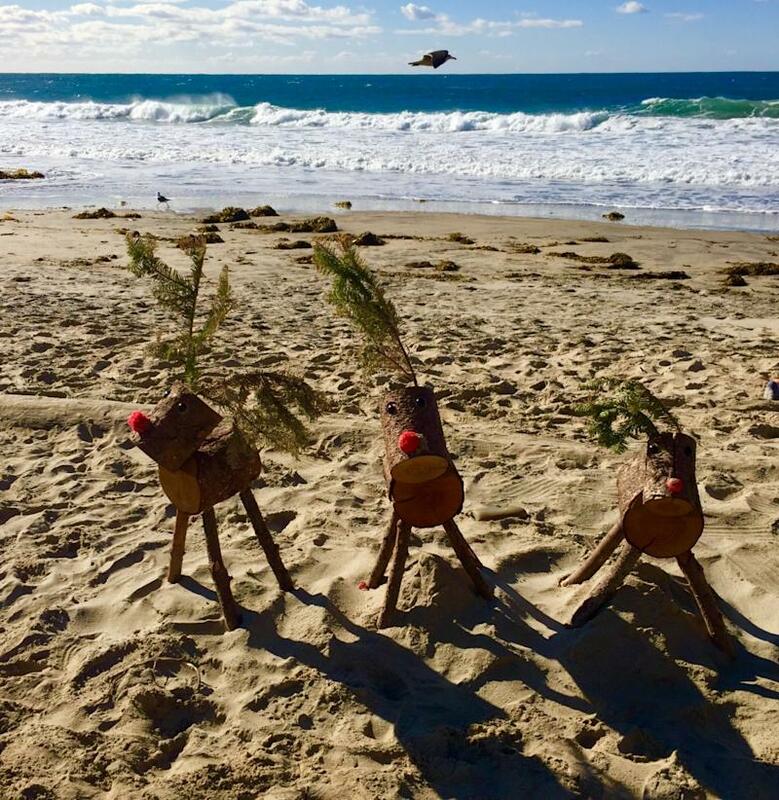 Even if you can’t hit the right dates for the parade, though, the beachy holiday decorations — some right on the beach! — will get you in the spirit.